The Mariners Advisory Committee strives to ensure that all navigational notices posted on our website are accurate and timely. But, due the fact that information may come from another provider and that conditions on the Bay and River may change without warning, the posted notices may not be up to date. Accordingly, the MAC cannot be responsible for any erroneous or untimely information. 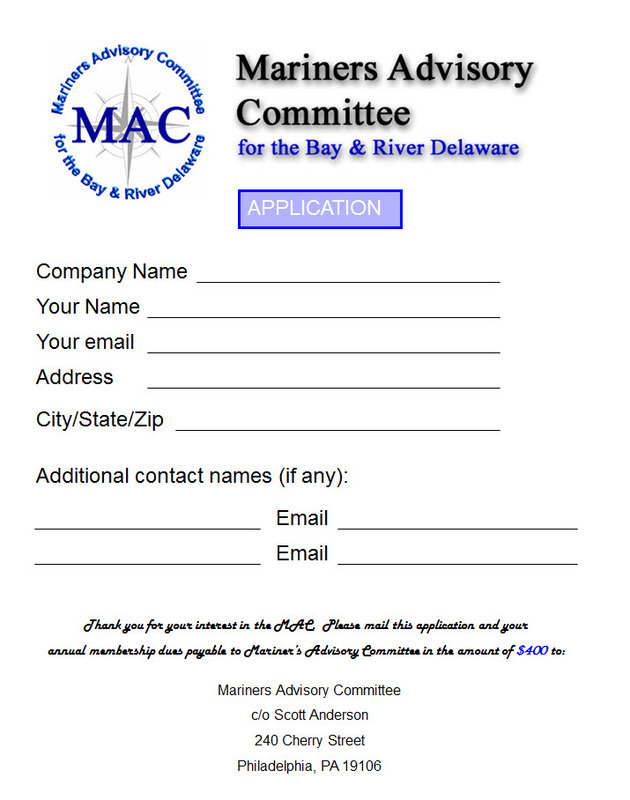 Users are encouraged to consult the most recent USCG Local Notice to Mariners and the USCG's HomePort website for additional information. Coast Guard Command Center (215) 271-4807, then note below.